The snap hooks fit rack tubing up to 9mm in diameter. There is also an oversized snap kit available to purchase separately. The pannier features 2 Scotchlite reflective panels for greater visibility. Up until the 2011 I used these bags every day. By that admission I’d have to say they did their job. That means I used them for over 5 years and over 4000 KM. They served their purpose. 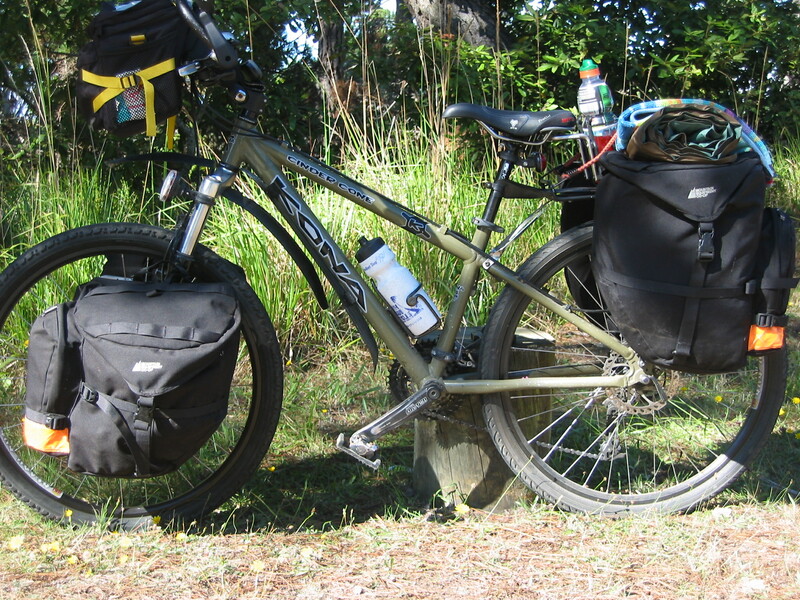 The pros of the pannier is they were incredibly durable. They’ve been through rain; a lot of rain. We live in Vancouver which is Canada’s third most rainy city with over 161 rainy days per year. They’ve fallen off my bike, been thrown around, stuffed until they can’t be stuffed anymore, and they’ve never torn. The reflective strip has also stood the test of time. Sure it’s faded a bit, but it’s still on there. The buckles, straps, zipper and draw string for the top have also never failed. I put a hole in the back of one of them and it has remained just that; a little hole. It hasn’t torn or compromised the rest of the pannier. The cons of the pannier are they are on the smaller side. While I can’t remember the official capacity of them, they are a bit smaller than newer ones. Also not having small compartments in them can sometimes make it difficult to find things. They end up just being a big open pit. And the biggest downfall with living in Vancouver and all, is they are not waterproof. Living in Vancouver that is pretty important. I always got around it by putting my stuff inside a plastic bag first and put that in my pannier. It worked for me for years but in really heavy rain it ends up that my pannier is heavier because it is now soaking wet. 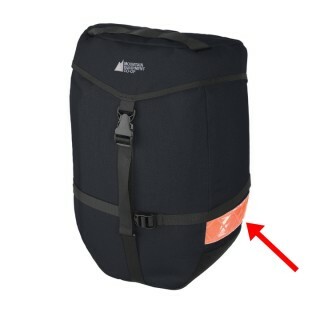 They don’t sell these panniers anymore but if they did, I would recommend them to someone starting out.